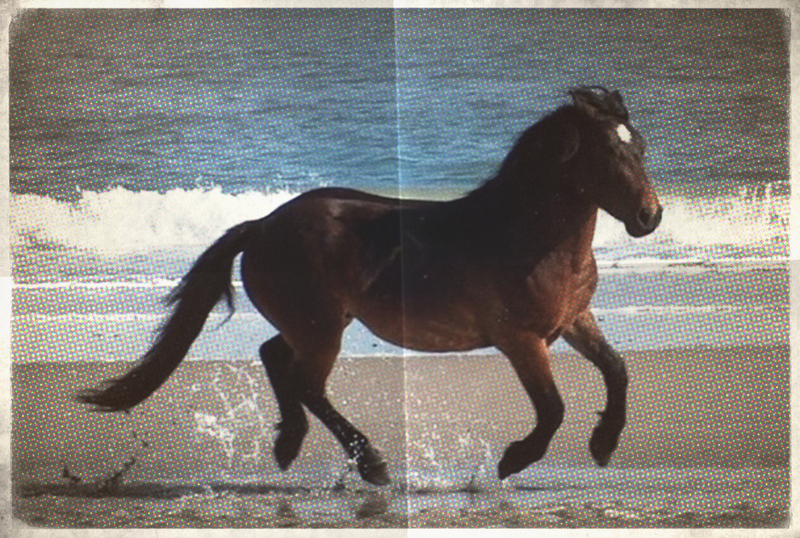 A wild mustang known around the world for being featured prominently in Outer Banks tourism materials has died at the height of his stardom. The Corolla Wild Horse Fund announced Monday that Roamer, a 15-year-old stallion, died Saturday, just 24 hours after being diagnosed with a tear in his GI tract that led to sepsis. 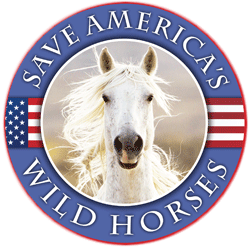 “People out there know who Roamer is, but may not realize it,” said Meg Puckett, the herd manager for the Corolla wild horses. Roamer was among the oldest of the herd of nearly 100 horses, and also one of those who could not be easily tamed. He frequently refused to stay fenced into the area reserved for wild horses, and took off to wander among the tourists, Puckett says. Herd managers eventually had to relocate him to a rehabilitation site operated by the Corolla Wild Horse Fund, out of fear he would be hit by an off-road vehicle. The herds on Corolla and the nearby Shackleford Banks are believed to be descended from Colonial Spanish Mustangs brought to North America by early explorers, according to the Corolla Wild Horse Fund. A historian who visited the Outer Banks in the 1850s described the horses’ unique appearance as “small size, with rough shaggy coats, and long manes; their hoofs in many cases grow to unusual lengths,” says the fund’s website. Colic is a common among ailment the horses, which have sensitive digestive systems, Puckett said. Roamer was buried on Corolla Wild Horse Fund property, “in a sunny clearing” that he led Puckett to on the morning of his death. Does anyone have information on the “temperature changes” they attribute multiple colic cases to? There’s nothing further in the original article. It might just be the seasonal changes. In our barn (years ago) – the fall/winter weather changes seemed to trigger colic – usually in older horses. Doesnt seem like the Carolinas would normally have that kind of abrupt change – maybe it has to do with climate change – its affecting pretty much everything else.